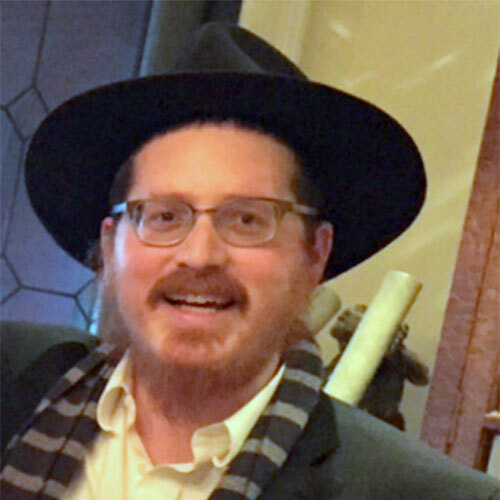 Rabbi Boyarsky, Director of Constitutional Advocacy for the Aleph Institute’s Los Angeles Office, is the founder and the driving force of Project Tikvah. Originally from Montreal, Canada, Rabbi Boyarsky received his rabbinical ordination at the Rabbinical College of America. He has dedicated his professional life to advancing criminal justice reform through policy advocacy and collaboration with legal, academic and field experts. He is passionate about promoting alternative sentences for troubled youth, noting that young people struggling with mental illness, addiction and abuse can recover and resume productive lives with treatment, compassion and support. He lives in Los Angeles, CA, with his wife Shayna and their six children. Mr. Delshad serves as Aleph’s Vice President. A passionate and visionary leader, he is dedicated to improving the lives of incarcerated individuals and their struggling families, as well as advancing the efforts of early intervention and alternatives to incarceration in appropriate cases. Prior to his role at Aleph, he served as two-term mayor and council-member of the City of Beverly Hills. As the first elected Iranian-American mayor, he created innovative policies, balanced the city budget, and collaborated with local and federal officials to promote the city’s security and standing worldwide. 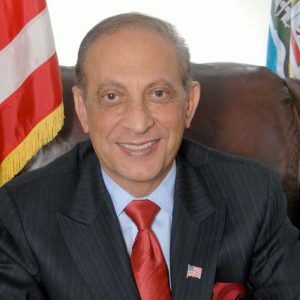 He has a proven track record within both the private and nonprofit sectors, serving on various boards, as past-president of Sinai Temple and the Magbit Educational Foundation, and as chairman of his own high-tech company. A committed supporter of the State of Israel, Mr. Delshad is involved with AIPAC, the Jewish Federation, Sheba Medical Center in Israel, Mount Sinai Mortuaries, and various other similar organizations. Essie Majedi serves as the face and driving force behind Project Tikvah. Working on behalf of those who have struggled with mental health and addiction. Together with Rabbi Zvi Boyarski he manages the daily running of the program and primary focuses on the infrastructure and development of this cherished program. Originally from the United Kingdom, Essie moved to California in 2000 and has been a Southern California resident ever since. 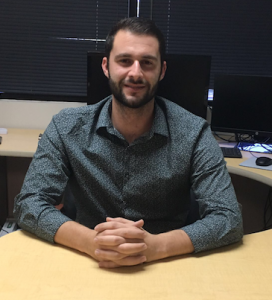 He graduated with a Bachelors Degree in Business Management from The Art Institute in 2012 and uses his experiences to foster relationships with industry and community leaders to expand and enhance the mission of Project Tikvah. Howard E. Friedman is a Founding Partner of Lanx Management LLC, a hedge “fund of funds.” He was the Co-Founder, Publisher & CEO of Watermark Press. Mr. Friedman served as President and then Chairman of the Board of the American Israel Public Affairs Committee (AIPAC). Washington Life Magazine listed Mr. Friedman as one of the 100 most powerful people in Washington. In 2010-2012 he served as the President of the American Israel Educational Foundation, the charitable arm of AIPAC. He currently serves as the Chairman of the Board of The Associated Jewish Community Federation of Baltimore. He has served as President of the Baltimore Jewish Council, and as President of JTA-The Global News Service of the Jewish People. Mr. Friedman serves on a number of boards, among them the Talmudical Academy and the Simon Wiesenthal Center. Robert Klein is the founder and Chairman of the Board for Safeguard. Under Mr. Klein’s leadership, Safeguard grew from a handful of employees in 1990 into the largest field services company in the industry. Mr. Klein built Safeguard around the doctrine of “Customer Service Resolution®” with the mission of creating a company focused on client satisfaction and strong business relationships. Dr. Dunas is a licensed marriage and family therapist specializing in chronic mental illness, stress, trauma and addiction. Her years as President of the National Alliance for Mental Health (NAMI) for the Los Angeles County, along with being an active member of Al-Anon have sharpened her psychological tools to successfully mediate with families who have a member suffering from either substance abuse or mental illness. Janis Black Warner is highly recognized in the greater California philanthropic community. As Board Members Janis with her husband Doug have been leaders of ORT LA’s Evolution since inception. Ms. Warner has been involved with Vista Del Mar for over 30 years. She has been on The Jewish Federation Cabinet, Leadership, Pritzker Series, Woman Campaign’s Lion of Judah and organized/chaired events for over 30 years. The Federation also honored Ms. Warner as Woman of Valor. Currently, she is an advocate for The National Alliance of Mental Illness in Los Angeles and Health & Wellness Advocate for Beit T’Shuvah. Mr. Warner is also the author of two books of inspiration. Judge Charles Byron Renfrew is a former United States federal judge, and in 2013, was listed as a NAFTA adjudicator. Born in Detroit, Michigan, Renfrew served in the United States Navy in the aftermath of World War II, then received an A.B. from Princeton University and served in the United States Army. He received a J.D. from the University of Michigan Law School thereafter entering private practice in San Francisco. President Richard Nixon nominated Mr. Renfrew to a seat on the United States District Court for the Northern District of California. Renfrew served in that capacity until February 27, 1980, when he resigned to become United States Deputy Attorney General, serving in that post until 1981. Renfrew was thereafter in private practice in San Francisco from 1981 to 1982. He was a vice president and counsel of the Chevron Corporation in San Francisco from 1983 to 1993. He returned to private practice in San Francisco in 1994. Gary Torgow is a Detroit businessman active in financial, civic, charitable and communal endeavors. He is the chairman of the Talmer Bank and Trust, a Michigan based community bank, and the founder and chairman of the Sterling Group, a real estate, investment and management company. Mr. Torgow is on the boards of Blue Cross Blue Shield of Michigan, Jackson National Life, Community Foundation of Southeastern Michigan, Business Leaders for Michigan, Jewish Federation of Metropolitan Detroit, Downtown Detroit Partnership, and the Wayne State University Foundation. Frank Menlo is a prominent philanthropist and business executive. Mr. Menlo is a successful Los Angeles real estate developer and President of L.M.F. Management and several related corporations. Mr. Menlo is actively involved and supports hundreds of charities throughout California and worldwide. He takes immense pleasure in giving inspirational talks to young adults facing personal struggles and life’s crises. Benjamin Brafman is one of the most well-known American criminal defense attorneys. Mr. Brafman is known for representing many high profile defendants, including celebrities, alleged Mafia members, and political figures. He is a fellow of the American College of Trial Lawyers and in 1997 was selected by New York magazine as the “Best Criminal Defense Lawyer in New York.” He was also the recipient of the Outstanding Private Criminal Defense Practitioner Award for 2005 from the New York State Bar Association. Mr. Brafman is a frequent lecturer and panelist on criminal defense issues and active in a wide range of charitable organizations. Larry Dean Thompson (born November 15, 1945) is an American lawyer, most notable for his service as deputy Attorney General of the United States under United States President George W. Bush until August 2003. While Deputy Attorney General he signed a memo in 2002 denying deportation of Canadian citizen Maher Arar to Canada ultimately leading to his deportation to Syria where he faced torture. Among other accomplishments, he oversaw prosecutions against officials at Enron.